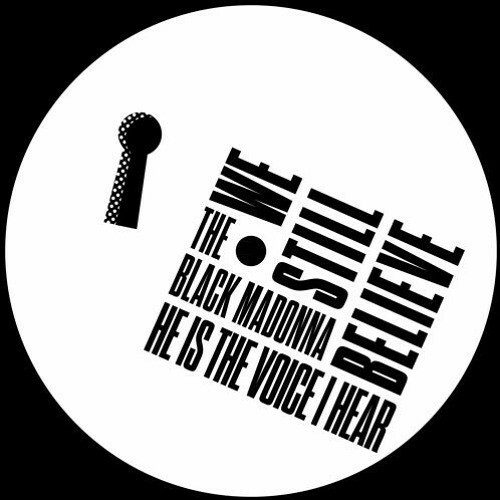 Two months ago Marea Stamper, better known as the Black Madonna, took over Gramaphone Records to celebrate the release of the 12-inch single "He Is the Voice I Hear." The store was the only place with copies of the record, at least on that day, and by closing time it had sold out—which I discovered when I dropped by Gramaphone a couple weeks later and asked if they had any tucked away in a corner. Fortunately, I found a copy at 606 Records shortly before New Year's. "He Is the Voice I Hear" reflects Stamper's reverence and affection for dance music: a message scratched into the dead wax near the record's hub label reads "Uncle Frankie says get home safe" in all caps. Stamper also names the late Godfather of House in her liner notes—actually a photocopy of one-page essay she wrote by hand. 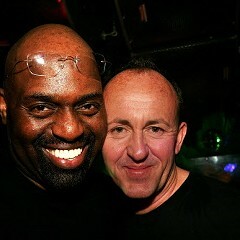 Stamper recalls the history and magic of electronic music, not only as a DJ who's coaxed people onto the dance floor herself but also as a lifelong fan who's felt the night melt away while moving to another DJ's set: "As DJs and producers, we are lucky if we get our moment, our time to step into stream and become a part of this tradition which tells our stories, heals our hearts and lifts us, even if its just for one night." Stamper is having a moment. 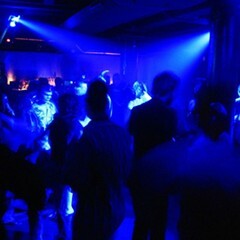 Or rather a series of moments, which trace her rise as a hero of contemporary dance music. She's toured the world relentlessly the past couple years, earning a reputation as a can't-miss performer. In a review of the 2016 Movement Electronic Music Festival in Detroit, New York Times critic Ben Ratliff paid special attention to Stamper, mentioning her set alongside those of veterans such as Kraftwerk, DJ Godfather, and Four Tet (a photo of Stamper opens the article's online version). 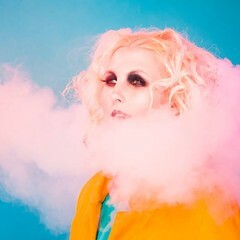 When long-running British dance publication Mixmag released its year-in-review issue in December, Stamper was on the cover—the magazine had named her the DJ of the year. The broader pop-music community often lacks the tools to discuss what makes dance music great, because it tends to take singles and albums as metrics for success—live sets and mixes, so important to dance artists, can fall by the wayside. So when Stamper released the digital version of "He Is the Voice I Hear" on Monday, I wasn't surprised by the way Billboard opened its article: "It's been almost four years since Chicago's The Black Madonna released any original material, but that hasn't stopped her from having one of the biggest years of her career." The amount of time that passes between two releases isn't a great indicator of a DJ's position in the field. In her press release for "He Is the Voice I Hear" (quoted in the Billboard article), Stamper extols the virtues of creating music at your own pace: "I have always felt, where making records was concerned, that it was better to say nothing than to rush and put out a lot of music that didn't say much at all." The orchestral "He Is the Voice I Hear" takes its time, gently building on a steady, relentless groove. Davide Rossi's strings and Christoforo LaBarbera's keys lend the tune a lived-in sense of refinement, which blends well with its inviting, head-nodding disco beat. Stamper headlines Smart Bar on Saturday, January 14, as part of this year's Tomorrow Never Knows—her set is one of the festival's best offerings. 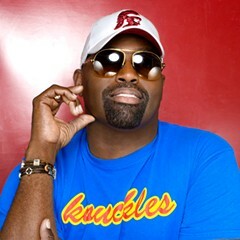 Did you read about Frankie Knuckles, the benefits of spite, and gun owners?